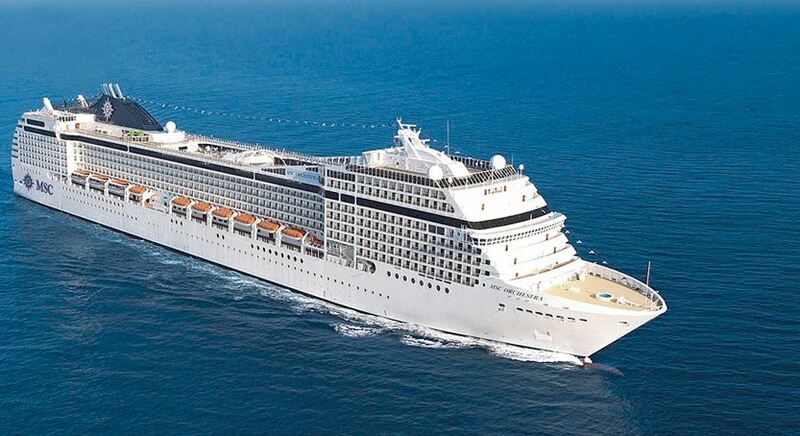 MSC Orchestra makes you the conductor of your dream cruise with its stunning elegance. If relaxation is your goal, there’s ample deck space to unwind under the sun or rejuvenate in the Body and Mind Spa, with pampering Turkish baths, saunas and a myriad of magical Balinese massages. For the active at heart, enjoy a Sports Center with a full gym, 5 stunning pools and even a jogging track that lets you keep a constant pace, undisturbed out in the fresh sea breeze. MSC Orchestra also takes you on an exciting culinary journey, ranging from the Shanghai Chinese Restaurant with authentic Dim Sum specialties to the Four Seasons gourmet Italian dining experience and La Piazzetta, where you can discover the finest pizza outside Naples. Durban is a big subtropical city in the north-eastern province of KwaZulu/Natal. It has been a major port since the 1850s and is home to the largest concentration of Indian-descended people in the country – Mohandas Gandhi arrived here as an indentured labourer in 1893. Today the city is better known as a holiday-makers’ fun parlour with a happening nightlife. The weather (and the water, thanks to the Agulhas current) stays warm year-round drawing the crowds to Durban’s long string of surf beaches. Apart from the sandy strip, ‘Durbs’ has a fair bit to offer. The impressive city hall houses an art gallery which has a good collection of contemporary South African works and a patchy natural science museum (check out the cockcroach display). Also in the city centre, the local history museum has interesting displays on colonial life and the African Art Centre features exciting work by rural artists. The Indian area, to the west of the city centre, has a bustle and vibrancy that’s missing from most commercial districts in South Africa. The Victoria Street Market is the area’s focus, but other must sees are the Juma Mosque, the largest in the southern hemisphere, and the Alayam Hindu Temple, South Africa’s oldest and biggest.